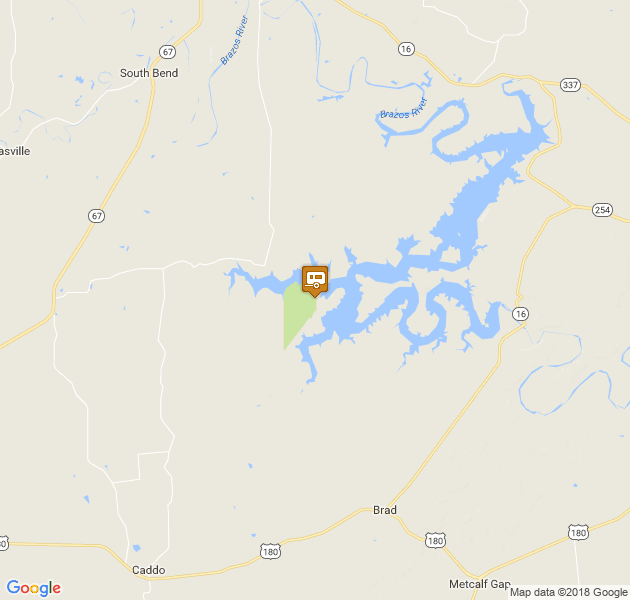 Located just an hour west of the DFW Metroplex covers approximately 1,530 acres along the shore of beautiful Possum Kingdom lake. Built in the 1940s by the Civilian Conservation Corps, the park is situated in the Palo Pinto Mountains and Brazos River Valley of Texas. 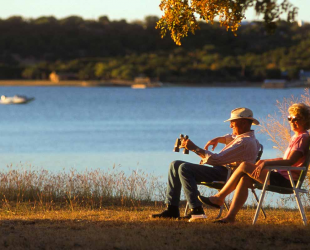 Possum Kingdom State Park offers 7 cabins and over 100 campsites from primitive camping to premium camping sites with water and electricity. The area offers plenty of opportunities for fun and relaxation from swimming boating, fishing, scuba diving, snorkeling and scuba diving. On land, you can camp, picnic, hike, bike, study nature and geocache. Cabins include A/C unit, heater, outdoor grill, water, electricity, kitchen sink, refrigerator, stove with oven, table and chairs, bathroom sink, toilet, shower, picnic table outside and one or more bedrooms.